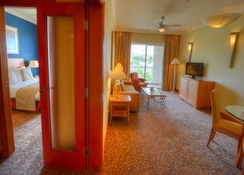 The Radisson Blu Golden Sands Resort is a family-friendly 5-star hotel nestled in a quiet location in St. Julian's. 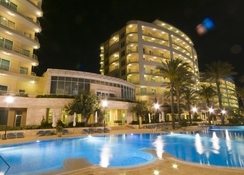 situated opposite a lovely beach – St. George's Bay, the hotel offers guests an excellent accommodation choice with world-class amenities and warm Maltese hospitality. Featuring two outdoor pools, a heated indoor pool, four fine-dining restaurants, nice bars and a world-class spa, the property is well-poised to offer a comfortable stay to guests seeking to relax amidst peace and quiet in luxurious surroundings. 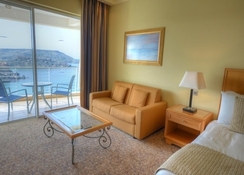 The air-conditioned, non-smoking rooms are equipped with a TV, tea & coffee maker, private bathrooms, free Wi-Fi and a large balcony which provides magnificent views of the Mediterranean Sea. The hotel is nestled on the lovely St Julian’s Bay Beach within close proximity of the islands fine beaches and three casinos. The Paceville district nearby is known for its sizzling nightlife and gastronomic delights along St. Julian's waterfront. The capital city Valletta, a UNESCO World Heritage site is a short hop away. 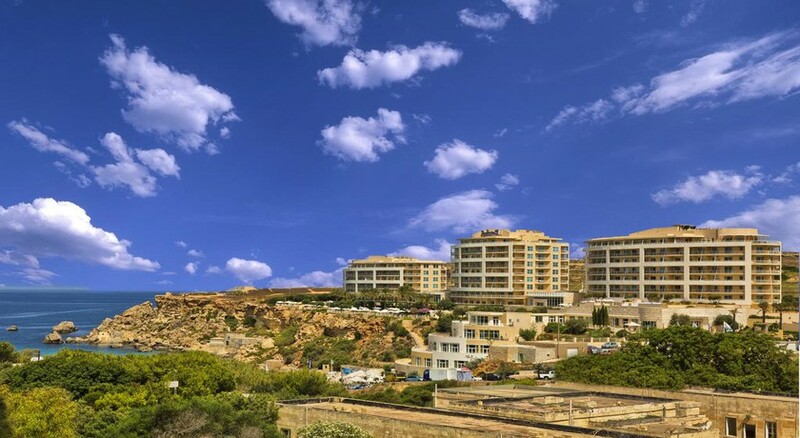 The property is just 12km from the Malta International Airport. 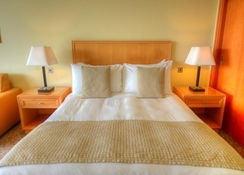 The Radisson Blu Golden Sands Resort has 252 tastefully-appointed rooms and suites. 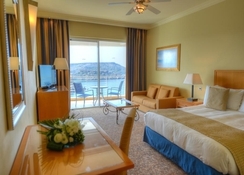 All have a furnished balcony with table and chairs, allowing amazing views of the Mediterranean Sea. The rooms are equipped with large flat-screen televisions, free tea & coffee maker, high speed Wi-Fi, safe and a mini bar. These come in categories like deluxe sea view, deluxe superior, family sea view, business class room, executive suites and junior suites. With three delightful restaurants on site—Le Bistro, Kon Tiki and The Edge, the hotel offers ample opportunities for guests to indulge their palate. While Le Bistro is an a la carte Mediterranean eatery, Kon Tiki is for international cuisine. The Edge, named after its location – the edge of the hotel offering excellent views of the Mediterranean Sea, offers scrumptious meals. The Bridge, the hotel’s café and bar, offers a varied list of wines, spirits and beers. 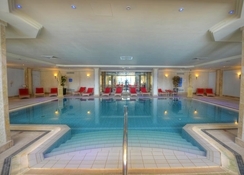 The Radisson Blu Golden Sands Resort has a swimming pool, a kids’ pool and terrace besides access to the private beach. There are yoga classes and a fully equipped gym for those who wish to stay active. There is the lovely Marion Mizzi Wellbeing Spa with steam room offering massages and therapies. Tiny tots can have fun at Kid’s outdoor play equipment. The hotel has facilities for tennis, cycling and hiking. Guests can also shop at the shops on-site. There is lively evening entertainment too.